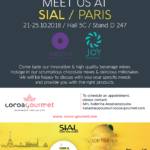 We are proud to announce that we will be participating in SIAL Paris, one of the worlds largest and significant trade fairs for food and beverages. 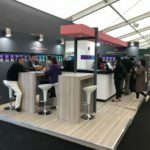 We would be pleased to meet you at our stand D247 in Hall 5C. Our experienced team will be happy to welcome you and discuss with you your specific needs. 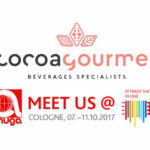 Take the chance to taste our innovative and high quality beverage mixes, hot chocolates with gourmet flavours, single origin chocolates with elegant notes, milkshakes so delicious, frappes that combine coffee with flavours, 0% sugar ice tea mixes and fruity slushies. 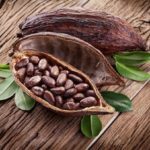 Do not miss the chance to experience the flavours. We will also be presenting our new modern packaging in doypack sachets. 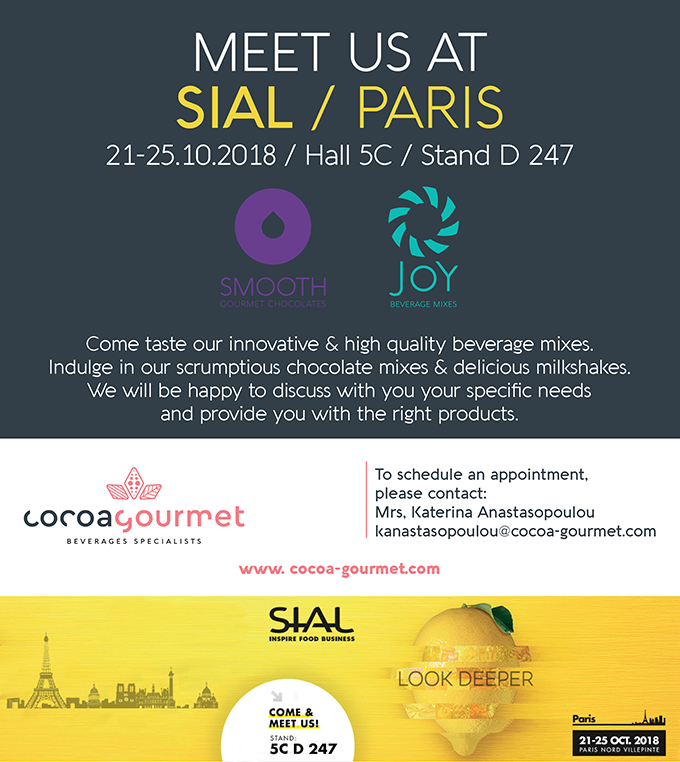 If you wish to fix a meeting time with us or if you wish to get a registration-code number for a 1-day pass, please contact Mrs. Katerina Anastasopoulou (kanastasopoulou@cocoa-gourmet.com).